Welcome to the July 21, 2017 edition of ACM TechNews, providing timely information for IT professionals three times a week. China has laid out a development plan to become the world leader in artificial intelligence (AI) by 2030, with the goal of surpassing its rivals technologically and establishing a domestic industry worth nearly $150 billion. The policy, released by the State Council, is a statement of intent from the upper levels of China's government that the country will be investing heavily to ensure its companies, government, and military jump to the forefront of AI technology. The plan comes while China prepares a multibillion-dollar national investment initiative to support "moonshot" projects, startups, and academic research in AI. Meanwhile, the U.S. has cut back on science funding, with President Donald Trump submitting budget proposals that would slash resources for several government agencies that have previously backed AI research. 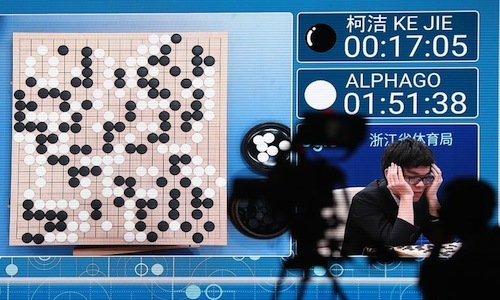 China's effort to invest in AI was sparked by the 2016 defeat of South Korean Go master Lee Se-dol by Google's AlphaGo system. Researchers at the Chinese Academy of Sciences (CAS) have developed Deep Generative Multiview Model (DGMM), a mind-reading program that deciphers symbols that people have viewed. The software scans a person's brain activity and then redraws the numerals and symbols previously seen by the subject. The program uses functional magnetic resonance imaging (fMRI) imaging to analyze the visual cortex and capture brain activity data. The researchers then run an algorithm on the data, which interprets the signals and maps them, thus recreating the image. "Now, eerily sophisticated software is starting to decode that brain activity and assign meaning to it; fMRI is also becoming a window on the mind," the CAS researchers say. Although other techniques have been used to achieve the same feat, the CAS researchers claim their method is the most accurate. The researchers say their technology eventually could be used to record and re-watch dreams. 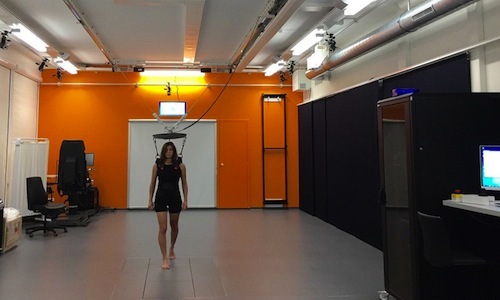 Researchers at the Swiss Federal Institute of Technology in Lausanne (EPFL) and Lausanne University Hospital in Switzerland have developed a smart harness that uses artificial intelligence to help people regain their mobility following certain neurological injuries. The smart harness collects information on leg movement, stride, and muscle activity from body sensors, and then uses that information to provide support specifically designed for the way the patient walks, determining how much force to apply to produce a natural gait. Following a single, one-hour training session with the smart harness, patients with spinal cord injuries showed immediate improvement in their gait out of the harness compared to those who did not use the harness, according to the researchers. The system helps patients rebuild lost muscle mass and relearn posture and movement, while also retraining the brain to handle the balance between gravity and forward motion that walking requires. Researchers at the Massachusetts Institute of Technology's Computer Science and Artificial Intelligence Laboratory, the Qatar Computing Research Institute, and the Polytechnic University of Catalonia in Spain have trained an artificial intelligence system, called Pic2Recipe, to look at a photo of a meal and predict the ingredients and suggest similar recipes. The project aims to significantly expand the scope of previous work building datasets of images of food. The researchers analyzed recipe websites to develop Recipe1M, a database of more than 1 million recipes that were annotated with information about the ingredients in a wide range of dishes. The researchers used that data to train a neural network to find patterns and make connections between the food images and the corresponding ingredients and recipes. The system performed especially well in identifying the ingredients in cookies and muffins, but it had difficulty determining ingredients in more ambiguous foods, such as sushi rolls and smoothies. Automakers are working to develop systems that would enable self-driving cars to avoid hitting large animals such as deer. For example, Volvo started equipping several 2017 models with software that enables its forward-looking radar and cameras to identify large deer entering or crossing a roadway. Toyota is working on its own deer-sensing technology, focusing on identifying how many deer are in the road and whether they are running or walking. Researchers at Toyota's Collaborative Safety Research Center conducted a study with the Virginia Polytechnic Institute and State University that involved equipping 48 vehicles with forward-looking cameras, while another vehicle had a camera and radar. The vehicles were driven more than 350,000 miles and the cameras recorded 596 real-life encounters with deer on rural roads. The researchers collected more than 53,000 radar readings of deer and used them to program radar sensors to recognize deer in a fraction of a second. Researchers at Stanford University and the University of California, Santa Barbara have developed a new type of robot inspired by natural organisms that cover distances by growing, such as vines, fungi, and nerve cells. The researchers made a proof of concept of the soft, growing robot and tested its capabilities. "Essentially, we're trying to understand the fundamentals of this new approach to getting mobility or movement out of a mechanism," says Stanford professor Allison Okamura. 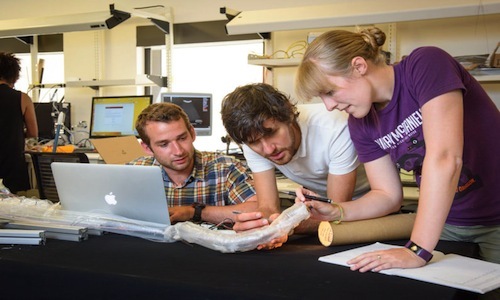 The researchers created prototypes that move through various obstacles, travel toward a designated goal, and grow into a free-standing structure. The robot is a tube of soft material folded inside itself that grows in one direction when the material at the front of the tube everts, as the tube becomes right-side-out. The researchers plan to scale the robot to much larger and much smaller sizes to see how it performs. Massachusetts Institute of Technology (MIT) researchers led by professor Vivienne Sze are developing a neural network designed specifically to work on mobile devices. Although traditional neural networks require a lot of power, making them unsuitable for mobile applications, the MIT researchers have developed a new approach that pares down the neural network so it can operate efficiently on existing mobile hardware. The researchers found the mobile neural network can achieve energy savings as high as 73 percent compared with an unaltered neural network, which would be plausible to run on a phone for a subset of "smart" features. In order to shrink the neural network down to the proper size, the researchers had to monitor energy usage by building a tool that tracks where energy is being used in the network. Northwestern University researchers are developing software that makes robots more autonomous, so they eventually could perform tasks on their own with little human supervision or intervention. The researchers are working with the U.S. National Aeronautics and Space Administration's (NASA) Valkyrie Robot, a humanoid robot that can walk and has dexterous arms and hands. They are using the Valkyrie robot to create motion using combinations of arm, wrist, finger, and thumb movements that collectively accomplish a task. The researchers say their work could eventually be applied across multiple industries. "For NASA, we are focusing more on space exploration type of tasks, but we are also taking advantage of having this robot in our laboratory to solve tasks related to healthcare, manufacturing, and so on," says Northwestern professor Taskin Padir. Although Padir believes robots will eventually take over jobs traditionally performed by humans, he thinks they will benefit the job market as a whole. Kaggle, Google Cloud's platform for data science competitions, will oversee a five-month contest in which researchers' algorithms will compete to confuse and trick each other, with the goal of gathering insights into how to strengthen machine-learning systems against future attacks. One of the contest's three components will involve trying to confuse a machine-learning system so it does not work properly, while another will involve attempts to force a system to classify something incorrectly. A third component seeks to develop the most powerful defenses. The results will be presented at a major AI conference later this year. "Adversarial machine learning is more difficult to study than conventional machine learning--it's hard to tell if your attack is strong or if your defense is actually weak," says Google Brain researcher Ian Goodfellow, who organized the contest. Goodfellow notes both hackers and defenders increasingly are adopting machine-learning techniques. Researchers at the University of Hertfordshire in the U.K. have developed Empowerment, a concept to help robots to protect and serve humans, while keeping themselves safe. Empowerment is based on the idea that robots are always seeking to keep their options open, rather than trying to make a machine understand complex ethical questions. The researchers mathematically coded the Empowerment concept so it can be adopted by a robot. Although the researchers originally developed the Empowerment concept in 2005, they recently expanded it so the robot also seeks to maintain a human's Empowerment. "Keeping the human safe consists of the robot acting to increase the human's own Empowerment," says University of Hertfordshire researcher Daniel Polani. He notes this altruistic Empowerment concept could power future robotic systems, including self-driving cars and robot butlers. University of North Carolina-Charlotte (UNC-Charlotte) researchers are studying the ability of artificial intelligence agents to accomplish goals that are social in nature. 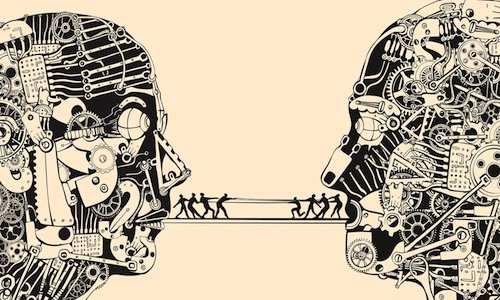 The researchers note a prime example of a social goal is the ability to persuade others. They say a chatbot that can persuade humans would represent a significant advance in artificial social intelligence. In order to achieve that goal, the researchers designed a system that can purposefully communicate, without any restrictions, and has the clear intention of persuading the recipients of its message. "Our goal is to define specific human persuasive strategies that can be programmed into an agent who can then persuade participants to its own view," says UNC-Charlotte researcher Samira Shaikh. The persuasion-bot models specific real-world positions and beliefs and selects from a group of annotated statements according to a set of predetermined behaviors or strategies meant to maximize impact on another agent's positions or beliefs. In an interview, DeepMind cofounder Demis Hassabis says the field of artificial intelligence (AI) needs to reconnect to the world of neuroscience, which requires finding out more about natural intelligence. Hassabis says collaborating with the field of neuroscience has led to new discoveries. For example, an aspect of brain functionality he mentions as key to improving AI is imagination, and the ability to plan what will happen in the future. 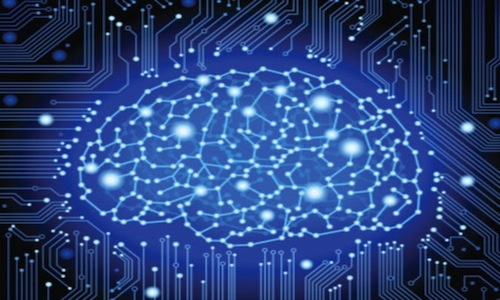 "Neural networks don't really have much memory. They're kind of in-the-moment," Hassabis notes. "And trying to really push that far is what made us come with the Neural Turing Machine, where we introduce this idea of having a big external memory connected to the neural network that the neural network can access and use." Hassabis also notes imagination can be a powerful planning tool. "You need to build a model of the world; you need to be able use that model for planning," he says.